CHICAGO (WLS) -- The city of Chicago is demanding the Cubs do a security upgrade in response to terror attacks in London and Manchester. 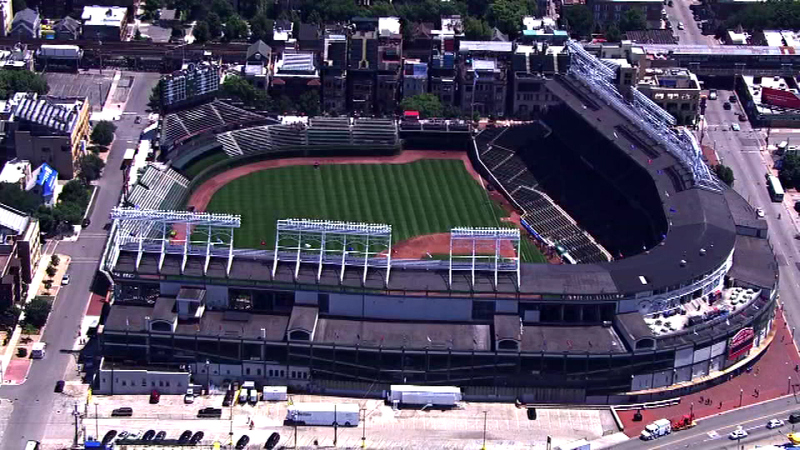 The city wants the Cubs to come up with plan for a security barrier around the ballpark. In a letter to the Cubs, the Office of Emergency Management and Communications also requested a new security plan for the plaza at Wrigley and to continue conversations with the city to integrate Wrigley Field's camera system to the OEMC. This comes after the Cubs' own request for game-day street closings throughout the season. A Cubs spokesperson says safety is a top priority, and millions have been invested in security. "The tragic events in Manchester, England, on the heels of the horrific event in Times Square, New York and elsewhere around the world, underscore the need to work together to provide adequate law enforcement. In contrast to Chicago, the City of Boston, of its own accord and without the Red Sox urging, this year closed streets around historic Fenway Park before, during and after Red Sox games. Major League Baseball, the Chicago Tribune, Congressman Quigley and others have joined us in calling for closing the remaining streets around the Friendly Confines," the spokesperson said.